Most musculo-skeletal conditions respond better with soft tissue correction as well as chiropractic adjustments to the spine. Our in-house physiotherapists will follow the same treatment plan as advised by your Doctor of Chiropractic and by addressing both the muscle and the joint dysfunction, results are better and relief is often felt quicker therefore speeding up your complete recovery. Your physiotherapy session will take place either before or after your chiropractic treatment, depending on the condition being treated, and the addition of this treatment will dramatically assist in the results of your overall neuro-musculoskeletal system. You will be able to enjoy pain free movements and improved function a lot quicker this way. Our physiotherapists in Dubai Media City are highly trained to deal with acute and chronic conditions using various techniques to decrease your healing time. Patients of all ages and variety of conditions are taken care of. Please contact us with any queries and we will be happy to assist you. Electrotherapy is a form of non –invasive medical treatment, which uses small electrical impulses to repair tissue, stimulate muscles and increase sensations and muscle strength. Ultrasound uses sound waves to speed up the healing process, while interferential therapy and TENS reduce pain by manipulating the nerves which reduces the sensation of pain and produces a tingling feeling. The mild electric current generates heat to relieve stiffness, improve mobility, relieve pain and improve circulation. It helps stimulate the body’s production of endorphins or natural pain killers. The current is delivered through electrodes which are temporarily attached on the skin in various patterns, depending on the specific condition and treatment goals. 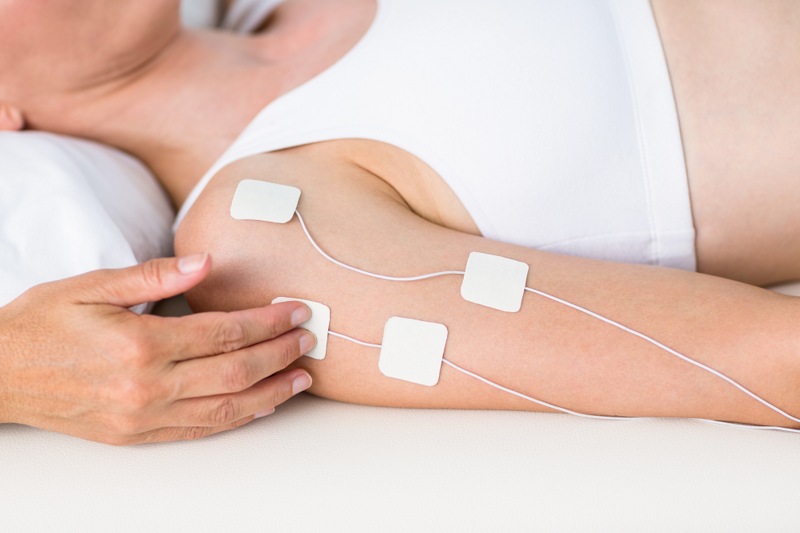 What makes electrotherapy suitable for any individual is that the devices can be set in a wide range of frequencies and intensities, depending on patient preferences, desired sensations and treatment goals. We all have that unfailing pain in our neck, shoulders and back that makes life uncomfortable. More often than not, we have been so used to the pain that it just becomes a part of our daily lives with a touch of discomfort. This pain is caused by Trigger points which are irritable, hard “knots” within a muscle which lead to difficulty in performing everyday tasks. Pain arising out of trigger points are sometimes called myofascial pain syndrome. 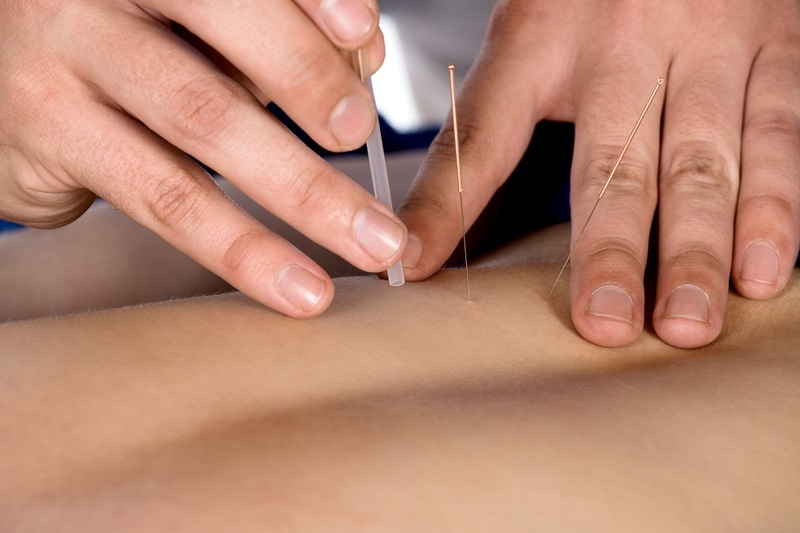 Dry needling is a specialized treatment which helps relieve such pain. The technique involves a very thin needle being pushed through the skin to stimulate a trigger point. Dry needling works by releasing the tight muscle bands associated with trigger points which ultimately lead to decreased pain and improved function. The aim of Dry Needling is to achieve a local twitch response to release muscle tension and pain. Myofascial Release is a safe and very effective hands-on technique that involves applying gentle sustained pressure into the Myofascial connective tissue restrictions. The technique focuses on pain believed to arise from myofascial tissues — the tough membranes that wrap, connect and support your muscles. From overuse and trauma myofascia can tear and adhere together, these adhesions are called “trigger points” and can prevent the muscles from working well. 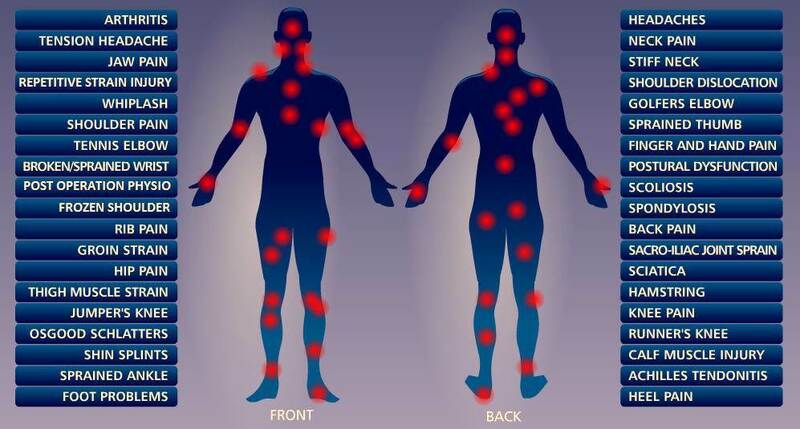 Trigger points lead to an increase in muscle stiffness and tenderness and a decrease in range of motion. In addition, discomfort from the trigger points can radiate to areas away from the adhesion. During myofascial release therapy, the therapist locates myofascial areas that feel stiff and fixed instead of elastic and movable under light manual pressure. The focused manual pressure and stretching used in myofascial release therapy loosen up restricted movement, leading indirectly to reduced pain. A musculoskeletal rehabilitation program is designed for people with impairments or disabilities due to disease, disorders, or trauma to the muscles or bones. Musculoskeletal rehabilitation programs can often improve functional capacity, reduce symptoms, and improve the well-being of the patient. Neurological Rehabilitation is a program which aims to aid recovery from a nervous system injury, and to minimize and/or compensate for any functional alterations resulting from it. Kinesio Taping is a definitive rehabilitative taping technique that is designed to facilitate the body’s natural healing process while providing support and stability to muscles and joints without restricting the body’s range of motion, as well as providing extended soft tissue manipulation to prolong the benefits of manual therapy administered within the clinical setting. By targeting different receptors within the somatosensory system, it alleviates pain and facilitates lymphatic drainage by microscopically lifting the skin. 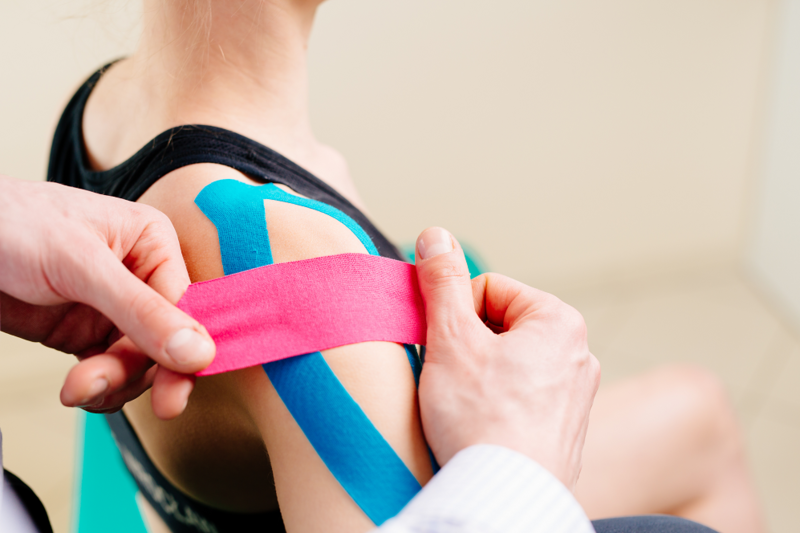 Kinesio Tape can be applied in many different ways and has the ability to re-educate the neuromuscular system, reduce pain and inflammation, optimize performance, prevent injury and promote good circulation and healing, and assist in returning the body to homeostasis. Kinesio Taping can be used in conjunction with a multitude of other treatments and can be applied to patients of any age and condition. 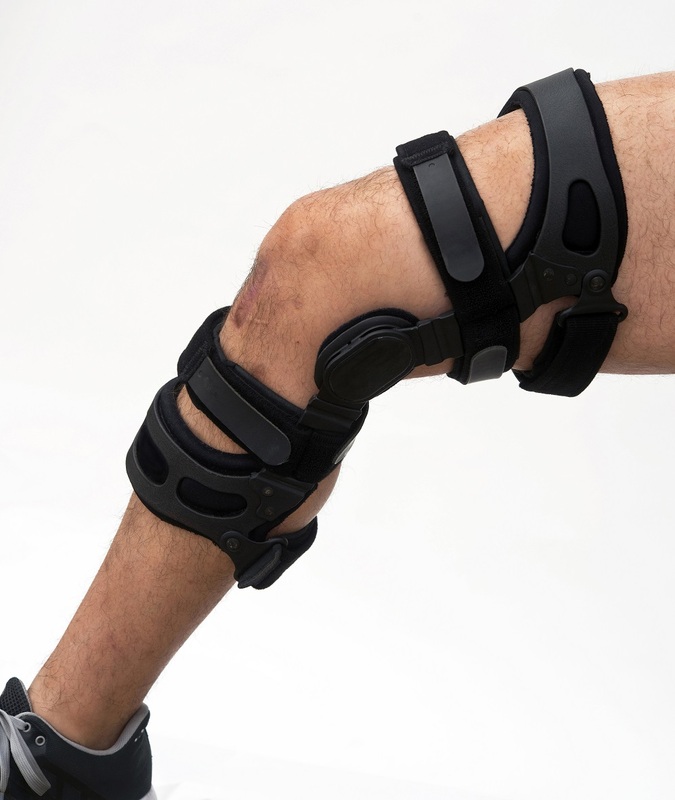 It is effective during the rehabilitative and chronic phases of an injury as well as being used for preventative measures.